"The law firm of Murphy Desmond S.C. was founded in April 1931 under the name of Kuehl & Crownhart by Frank W. Kuehl and C.H. Crownhart, Jr. The first office was at the Tenney Building on the Capitol Square in Madison, Wisconsin. Kuehl had earlier been Executive General Counsel to Governor (later U.S. Senator) John J. Blaine, and was an Assistant Attorney General. Crownhart graduated from the UW Law School in 1931. He was the son of Charles H. Crownhart, Sr., who was a member of the Wisconsin Supreme Court at the time of his death in 1930, and had earlier been Revisor of Statutes and the first Chairman of the Wisconsin Industrial Commission, which administered the Workers Compensation Law. Justice Crownhart had intended to leave the Supreme Court and practice with his son. Kuehl had initially intended to spend only part of his time with the firm, and served as counsel to the State Banking Department during the banking crisis of 1932 and 1933. Kuehl felt ethically obliged to withdraw from the firm in 1932. He went to Washington D.C. in 1933 as a member of the General Counsel's staff of the Reconstruction Finance Corporation. Later, he was on the staff of the American Medical Association and remained in Washington D.C. the rest of his career." Note: Robert B.L. Murphy served as the first clerk of the original firm from July 1931 to June 1932. He then became a member of the successor firm of Crownhart & Murphy. "In 1942, Crownhart became the Secretary and General Manager of the Wisconsin State Medical Society, and he withdrew from the partnership. The firm closed down briefly in 1944 and 1945 because all four members were in the armed forces. In 1946, the firm was re-established as Murphy, Armstrong & Gavin, with Professor Jacob H. Beuscher (of the UW Law School faculty) of counsel. In late 1951, Perry J. Armstrong withdrew to manage a title insurance office. Attorney Warren H. Stolper joined the firm in 1952 and subsequently became a partner. John P. Desmond joined the firm in 1955. In 1959, S.E. Gavin withdrew to become manager of the Wisconsin Contractors Association. The firm name became Murphy, Stolper & Desmond in 1960 with the admission of partnership of John Desmond. In 1966, the firm merged with Huiskamp & Brewster of Madison, composed of Messrs. Benjamin W. Huiskamp and F. Anthony Brewster. The merged firm practiced under the name of Murphy, Huiskamp, Stolper, Brewster & Desmond until Huiskamp's death in 1971. The name Murphy, Stolper, Brewster & Desmond was used until the end of 1984. In January 1985, the firm was restructured and changed its name to Murphy & Desmond S.C. The firm and its predecessors leased offices in the Tenney Building from 1931 to 1956; occupied offices owned by it at 409 West Main Street until 1966; was a tenant in the National Guardian Life Building until May 1981; and was a tenant in the Verex Building until October 1, 1987, when it moved to larger quarters at Manchester Place, 2 East Mifflin Street. All changes in locations reflected the firm's consistent need for additional space." Note: In the mid-2000s, the firm removed the "&" from its name to shorten it to Murphy Desmond S.C. In 2007, the firm had grown to over 40 attorneys and moved again to the other side of the Capitol Square. Murphy Desmond still resides on the historical and renovated Block 89, at 33 East Main Street, Suite 500 in Madison. Also in 2007, the firm opened an office in Janesville, off the Interstate, to serve Rock County. The Janesville office moved its location to downtown Janesville in 2013. In October 2013, the firm opened a small office in Appleton, Wisconsin, to serve the Fox Cities in the areas of immigration law, business, municipal and creditors' rights. "Prior to 1966, Murphy, Stolper & Desmond represented and, in a number of cases, had organized, substantial business clients, professional service corporations, nonprofit associations and health insurance organizations. 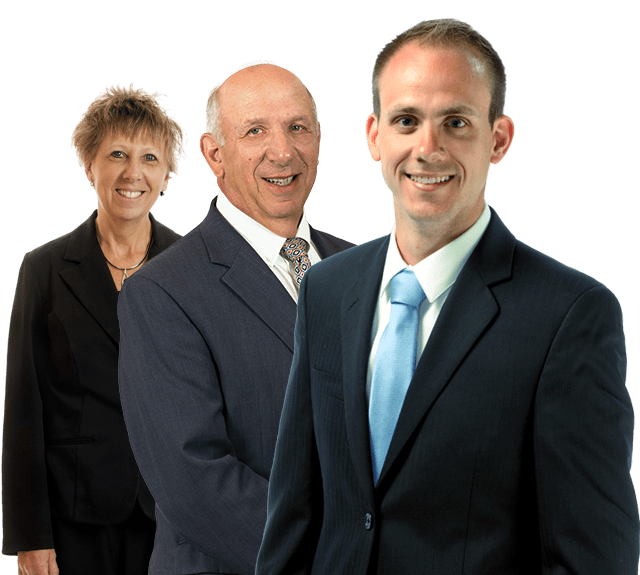 It pioneered in the Madison area in estate planning, pension and profit sharing plans, foundations, health insurance and professional service corporations. It developed a substantial lobbying and administrative law practice. After 1966, the firm also became active in the areas of labor relations, business planning, taxation, bankruptcy, business reorganization, and placed greater emphasis on litigation." Additional notes: Mr. Murphy maintained an unwavering belief in the principles of superior client service, legal integrity and a strong commitment to the community. The firm is still guided by his founding principles. In decisions that affect our firm and our clients, we often still ask, "What would Mr. Murphy do?" The firm continues to focus on business, real estate, estate planning and litigation, as we have for many years. We have a strong practice in municipal, creditors' rights, business bankruptcy and reorganization, and administrative/regulatory law. Since 2012, we acquired highly experienced lawyers in the areas of immigration law, criminal law, professional license defense, juvenile defense, and environmental law. The firm is also focused closely on legal services for business start-ups in Wisconsin. Murphy Desmond has a number of bilingual attorneys and staff who speak fluent Spanish in several areas of law to accommodate the legal needs of our Latino communities. Our firm continues to evolve in providing services that meet today's legal needs for businesses, families and individuals. For a consultation with Murphy Desmond S.C., call 608.257.7181 or send us an e-mail.